Caprese Skewers are 4 ingredient appetizers that are so simple to make but guaranteed to impress! 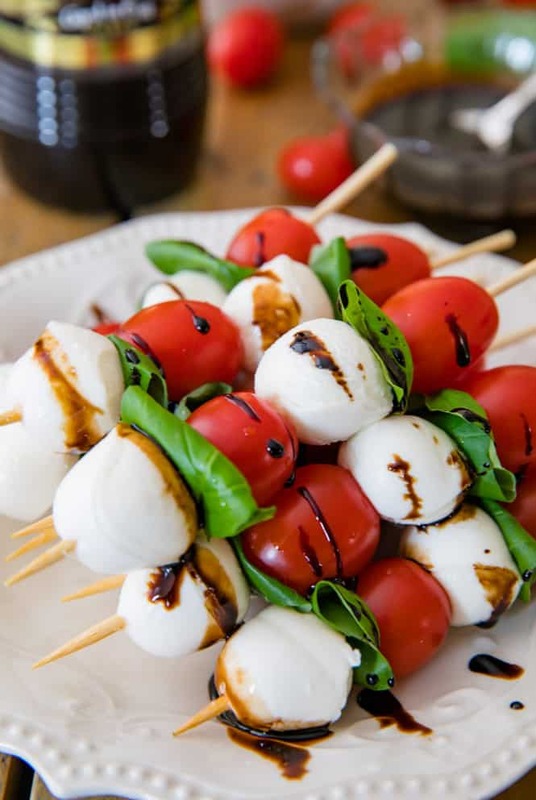 Made with cherry tomatoes, mozzarella, fresh basil, and an easy balsamic reduction, they imitate the classic Caprese salad, only made portable on a skewer! Hello Hello! Sam here from Sugar Spun Run, but today I have a very sugar-free recipe to share! Today I wanted to show you how to make one of my favorite healthier treats — Caprese Skewers. With the New Year here, I’ve been trying to clean up some of my eating habits, so rather than whipping up my signature batch of homemade brownies every time there’s a potluck or party to attend, I’ve been making these fresh and light Caprese Skewers instead. And guess what — not a single person has complained about being presented with tomatoes rather than chocolate (which I was a little worried about the first time!). I think that having impressive appetizers that are also easy to make is essential, and these Caprese skewers just earned themselves a place in my recipe repertoire right next to my famous deviled eggs. Just 4 ingredients plus a skewer and you have yourself an appetizer that’s simple, refreshing, and bursting with flavor… and, believe it or not, just as addictive as a chocolate brownie. 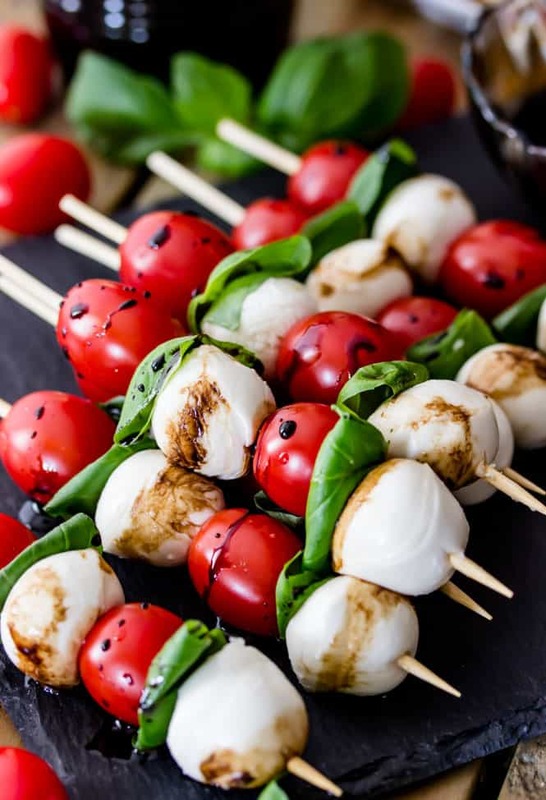 Modeled after the famous Caprese salad, the primary components of these skewers is a handful of fresh basil, grape or cherry tomatoes, and fresh mozzarella. You will also need some balsamic vinegar, which you will cook down to a balsamic reduction for drizzling. 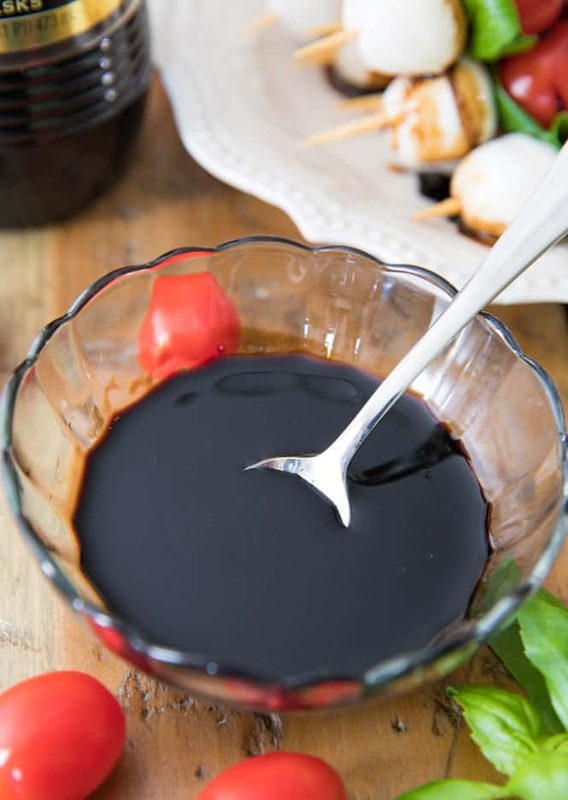 Making the balsamic reduction is simple — all you need is one cup of balsamic vinegar which you’ll pour into a saucepan and keep it over medium-low heat until the vinegar is reduced to half its volume. Just make sure you let that cool before drizzling it over our caprese skewers (and if you can, have a fan going or a window open while making the reduction — the vinegar smell can be quite potent!). By reducing the vinegar, we’ll be making it thicker and more potent, and it adds the best flavor when drizzled over the fresh ingredients of these skewers. Since it’s currently January, I had to buy my tomatoes and basil from the supermarket, and while they were still delicious, I can’t wait to grow my own in the summer. 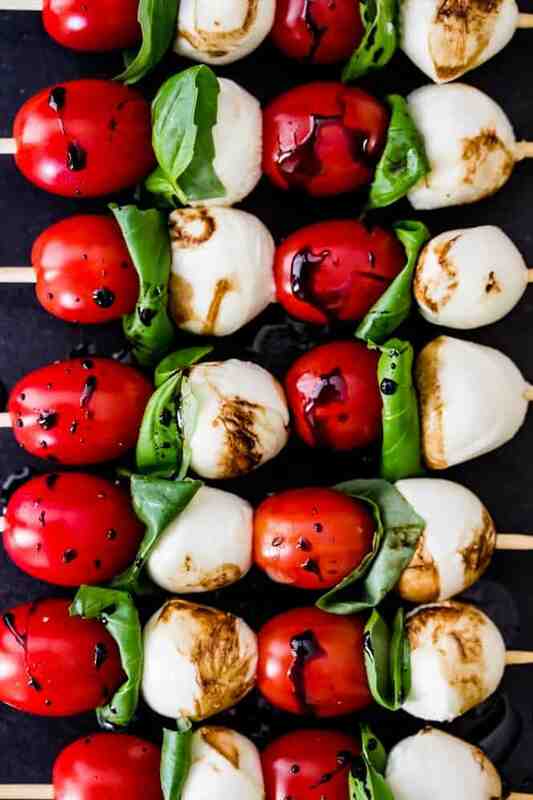 These Caprese skewers are great any time of the year but can you imagine in summer with fresh-from-your-garden produce!? Yum! A simple recipe for Caprese Skewers! Prepare your balsamic reduction first by pouring 1 cup of balsamic vinegar into a small saucepan over medium low heat. Cook, stirring occasionally, until vinegar has reduced to about half a cup (this will take about 15 minutes or so). Allow balsamic reduction to cool before drizzling over your caprese skewers (it will thicken as it cools, also). To prepare Caprese skewers, spear the top of one tomato and slide it up 1” from the top of the skewer. Take a small basil leaf (about 1” -- if your basil leaves are large then cut them in half first, otherwise the flavor will overwhelm the skewers) and fold it in half. Spear the basil leaf and slide it up against the tomato. Repeat with a mozzarella ball, and then repeat with another tomato, basil leaf, and mozzarella ball. Just before serving, drizzle with balsamic reduction. Sam is the baker behind the website Sugar Spun Run, where she shares sweet, simple, and from-scratch dessert recipes (usually of the chocolate variety!). 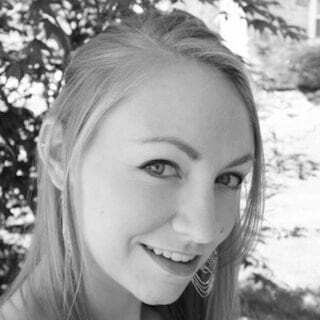 She lives in Pennsylvania with her husband and their two dogs, Penny and Leia. This is always my go to for get togethers. If you don’t have time to make your own reduction, stores like Home Goods, Whole Foods etc will have reduction (just be careful to check for junk ingredients / added sugars) We keep basil plants all summer just for this! Is it possible to make this up and refrigerate all of it including the be balsamic reduction for a few hours and then drizzle the reduction over it before serving?